iChill is one of the typical coffee shop near UST Manila where students usually drop by to hang out. In Sampaloc, there are several educational institutions around the place. But still most customers that come in to eat, drink and hangout come from UST. 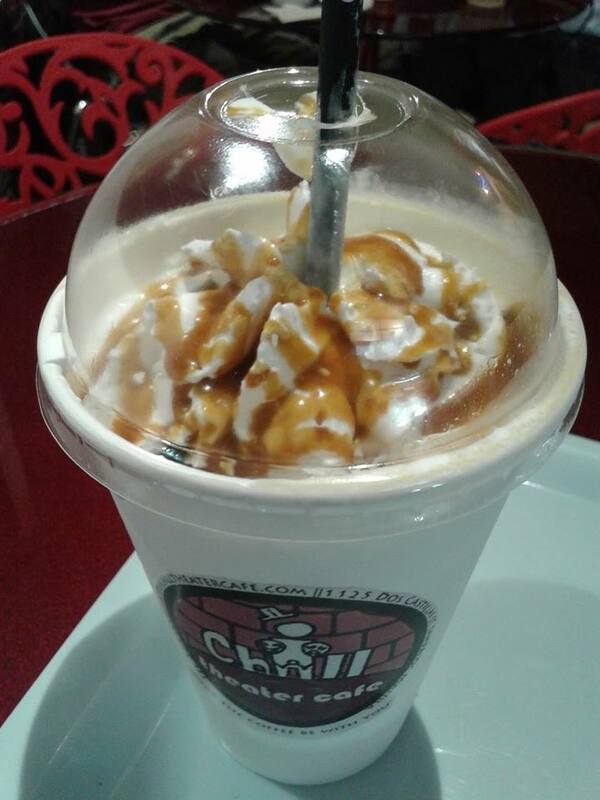 How come in a community with more than one major college within walking distance or short driving distance, it’s still the folks from UST that come over for a frappe? It takes a little knowledge regarding places to eat around the UST compound to know whether certain niches or market segments are accommodated. 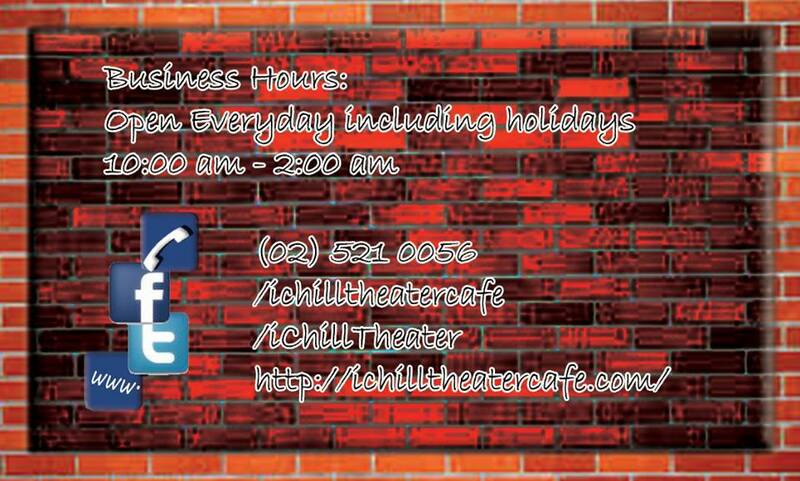 The fact that iChill Theater Cafe is situated close to the dormitories can be viewed as a reason too. 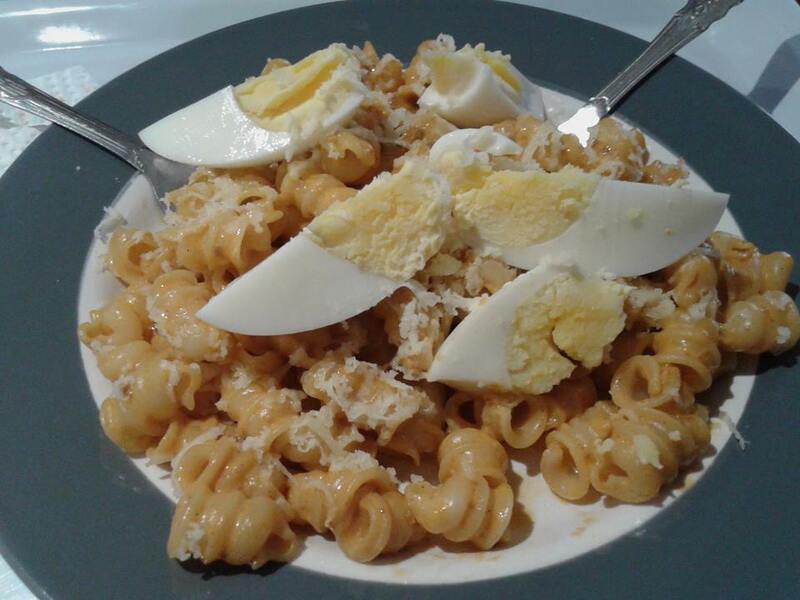 Because even if you live within a stone’s throw away from your perceived market, if you don’t have a menu that is interesting enough for them to even view, then you know that you’re offering something that no one’s even checking out. It’s an aspect worth looking into since while there are already several establishments right in front of, beside and behind UST for the students to get into, from fast food joints to the turo-turo stalls, they would still prefer walking all the way from their campus to just a little behind McDo Lacson Ave and get their daily coffee fix. In short, we are doing something right. People come in, check the menu and sit down to wait for the items that they ordered. Coffee tastes great and it often served its purpose of keeping students awake enough to type their term papers on the laptops that they brought with them. Coffee can be ordered along with their favorite snack – a waffle sandwich or some pasta available for the day. Customers get their fill in terms of food and drink yet they still stay because there is free WiFi in the area. Coffee then food then free WiFi then back to coffee again if they would like a second serving. It’s like a chicken-and-egg thing. You don’t know sometimes which came first but you don’t mind since it mean repeat purchases as far as the coffee shop is concerned. That’s when you realize how certain needs end up getting met here. That’s usually how you keep your market paying attention to you. Add in the free massage that comes with what you ordered and iChill Theater Cafe becomes true to its name – a nice place to chill. It was once said in the past that putting up your own business is different from maintaining your business. The novelty of being new in town wears out in time and soon the market i.e. the UST community would start finding new places to eat unless new and improved items become available on the menu. And iChill Theater Cafe managed to succeed in that part. Removing food items that don’t sell as much and retaining the formula for the food and drinks that sold more than usual, it became a matter of time how the same crowd that enjoyed them found themselves staying longer not for the WiFi anymore but because they wanted to order them along with the friends that they dragged with them to enjoy the food, ambiance and free WiFi. It also helped that during exam season, students would need a nice place to study to go with some faint music. Well, music may not always be faint – iChill Theater Cafe’s playlist would usually include upbeat tracks from hit Broadway musicals. But students come in just the same since headphones playing their own mixes would help them study more. Bottom line is it is still incoming traffic with people actually ordering food and enjoying the free WiFi in the area. With today’s generation preoccupied with social media by constantly photographing ordered food and uploading them on Instagram, it generates positive feedback for the coffee shop. Now who would have thought all aspects needed to keep a well-running coffee shop simply by establishing a niche market? There is more for us to see here at iChill Theater Cafe. The kind of dynamism that it has applied on its menu and the overall look of the coffee shop will continue. But it would always remain consistent to how the UST community has always enjoyed it. And there would be more sure to come. Just follow us on our social media accounts through Facebook & Twitter so you don’t get left behind. See you around. E I G H T D A Y film Winner for Most Viewed at iChill Manila Int Film Fest!